Hagen Fluval FX6 Canister FilterFluval FX6 High Performance Canister Filter makes aquarium maintenance easier and more conveneint than ever. This high capacity, but compact, canister filter processes and circulates 563 GPH and has a large media capacity to produce cleaner and healthier results. With media baskets that can be stacked and are engineered to eliminate water by-pass, this canister filter is incredibly efficient. Features Smart Pump Technology wich measures output and maintains energy efficiency at all times. For fresh and saltwater aquariums. 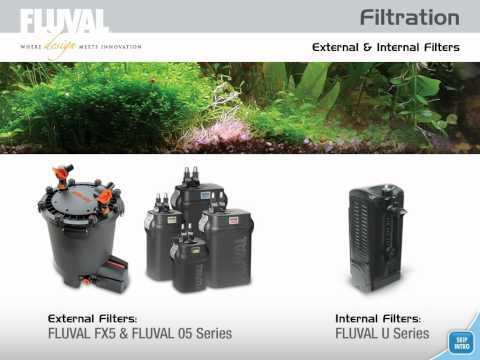 Multi-Stage filtration keeps water clean and healthy Energy efficient and effective with easy filter options Complete Canister Filter Kit includes installation instructions, filter, tubing, filter media and features Smart Pump Technology Hagen FX6 Filter Specifications:For aquariums up to 400 GallonsFlow rate: 563 GPH at 21" HeightChange polishing pad and carbon bags monthly for clean & healthy water quality. Hagen Fluval FX6 Canister Filter. 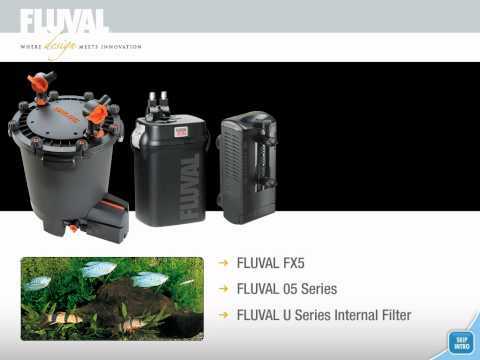 Fluval FX6 High Performance Canister Filter makes aquarium maintenance easier and more conveneint than ever. This high capacity, but compact, canister filter processes and circulates 563 GPH and has a large media capacity to produce cleaner and healthier results. With media baskets that can be stacked and are engineered to eliminate water by-pass, this canister filter is incredibly efficient. 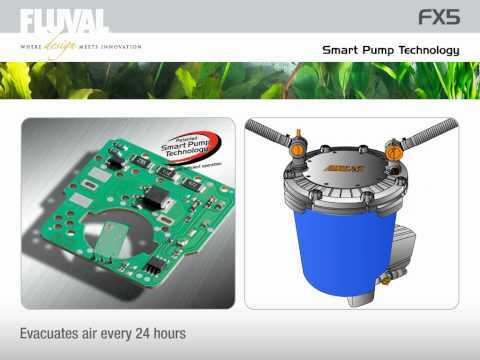 Features Smart Pump Technology wich measures output and maintains energy efficiency at all times. For fresh and saltwater aquariums. Change polishing pad and carbon bags monthly for clean & healthy water quality.